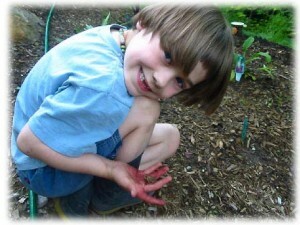 Welcome to the nurturing world of early years Waldorf education! Whether you intend to send your child to a Waldorf nursery or kindergarten or to keep your child at home, we hope that you will find inspiration and useful information here on our website as well as via the resources that we provide. On our Waldorf 101 page you’ll find a brief overview of Waldorf education for those new to Waldorf. 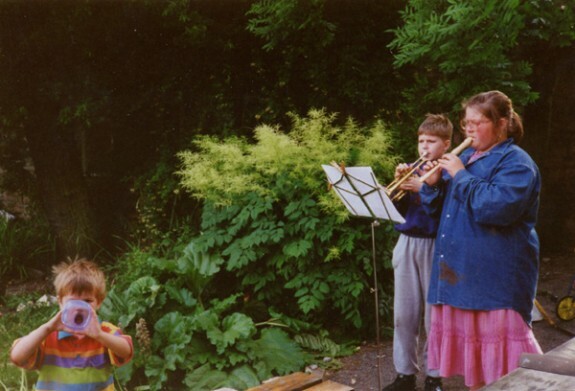 There are also a number of blog entries and other articles on this website and in other places (see the list on the right) which will be of help as you start to explore Waldorf education. Also, don’t miss the Waldorf Baby section of this website! Regarding Early Years and Waldorf Baby, we are very pleased to now welcome articles written by other Waldorf homeschoolers. While it can only enrich this website to have more voices participate, we do need to let everyone know that we do not necessarily endorse everything that our authors advocate. Those pieces which are entirely personal, which are in the form of stories, are included to give readers a picture of the joys and struggles of real mothers working to parent, to grow and to learn. We hope you enjoy reading these contributions and consider sending us a piece yourself. As Waldorf education becomes better known and spreads beyond the borders of Waldorf schools, there is, inevitably, the danger of some confusion as to exactly what Waldorf is and what it is not. 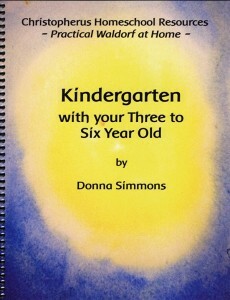 Waldorf education is also far better known in terms of early education, with many people now setting themselves up as “Waldorf inspired day care” and others selling booklets on Waldorf early years education. While much of this work is commendable and it is always inspiring to see people make something their own, there is also the danger of confusion and people being misled. While we do not want to pass judgment on those providing these materials and services, we do value clarity. Waldorf education stems from a particular spiritual scientific view of the development of each individual child and the continuing development of humanity as a whole. As such, there is a clearly defined philosophy and pedagogy. Taking the outer manifestations of Waldorf education and generalizing on from them is not, in our opinion, a way to understand or promulgate Waldorf education. The following are a few terms which clearly define and distinguish Waldorf early years education from other educational philosophies. The intention of this page is to help parents understand certain aspects of Waldorf education so they can make informed choices. this power when parenting or working with young children? 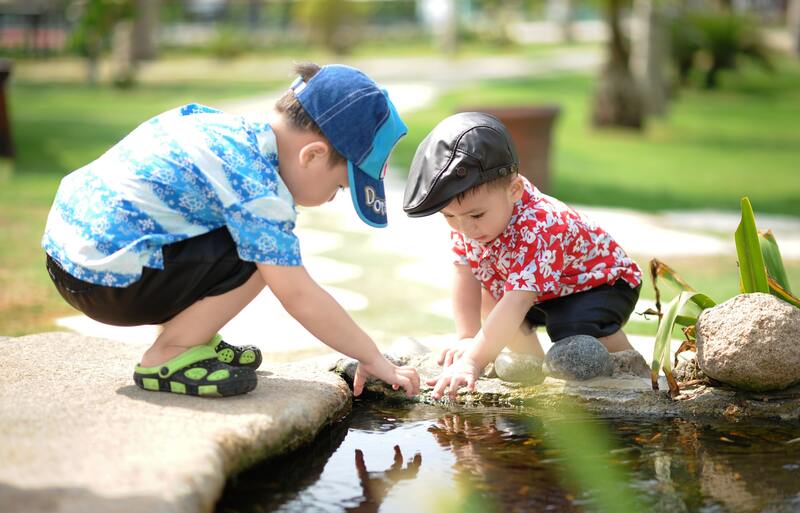 By giving our young children active examples (see below) of behavior, including how we interact with other people, we can help the young child build up healthy ways of living. A rule of thumb for parents and teachers of under-7s is: don’t say it if you can do it! Show it, don’t tell it. Completely disregard all advice which has you explaining to children constantly; answering all their questions; and talk, talk, talking all day long. Children need to find their own answers to things – often the constant barrage of questions is merely the child externalizing what needs to be internalized. By gently and neutrally saying things like “Hmmm…I wonder” when a child is chattering constantly, one acknowledges the child but does not feed the fire of endless verbiage!And then the child is left free to find her own answers. So once we understand that everything the young child sees goes, unfiltered, into her being, and once we grasp that harnessing her powers of imitation is the best way to proceed, we can help her mold and form her natural need to be active in a nurturing way. Young children learn via imitation and they learn best by whole body activity. We all know how compelled a young child is to explore things not just by looking – but by tasting, touching, copying and being the thing explored. Our job then is to give our young children worthwhile active tasks to imitate. 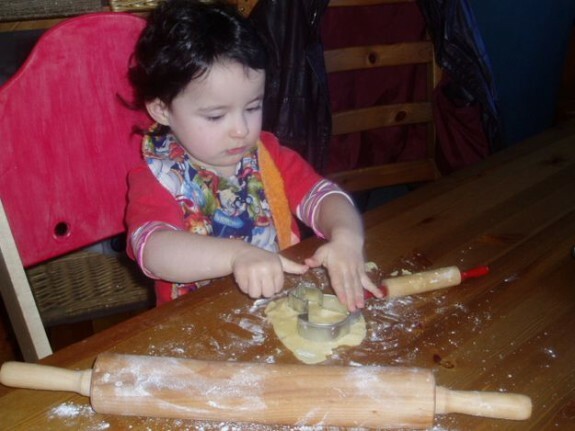 Sweeping the floor, drying the knives and forks, polishing shoes, sorting buttons, watering the plants, digging in the garden – these are the kinds of whole-body activities that a young child needs, taught not by instruction but by the active presence of an adult doing those very same jobs and enabling the child to join in. Or, though she might not join in, because she is in the “aura” of an adult peacefully engaged in meaningful and centered activity, is active in a passive, inner way. Just as what is not shown on the page of a child’s drawing can be more important than what has been drawn, so too the outer activity of an adult has an effect on the inner life of the child. How to keep busy in modern technological life? That is the real issue. A large part of living with young children in a healthy way and not having to resort to plunking them down in front of the TV so you can make supper is to de-mechanize your food preparation (and other) jobs in the house and break the tasks down so the children can participate in them. So what if making supper then takes 2 hours?! That’s your afternoon taken care of in a healthy and peaceful way and one in which your children have had the opportunity to participate in useful and important tasks and not be passively watching flickering images on a screen. A key part of working with the young child’s need for activity is to understand that activity must be held with a sense of rhythm. You, as the parent, can form your child’s days, weeks and seasons so that there is a healthy balance between activity and rest. Think of a beating heart – sometimes it is faster, other times slower. But, in health, it is always rhythmical. So, for health, a young child needs time to run and shout and be exuberant as well as times of listening, resting and being quiet. In Waldorf circles this is often expressed in terms of out-breath and in-breath. In Waldorf education a vitally important principle is that no academic work is undertaken before first grade – during which the child should be 7 for as much of the year as possible. This is because the growth forces in the child are completely taken up with the work of forming the physical body. Once the child is asked to do intellectual work, these growth forces are no longer able to focus on the physical body in the same way and are now involved in intellectual work. The body has therefore been short-changed of a vital stage of growth. Considering how many children in our society are plagued by issues (sensory integration, attention deficit and so on) which amount to them having trouble “being in their bodies” we should take such warnings to heart. In Waldorf kindergartens the child is engaged in work, plays with open-ended creative toys and dressing up, hears stories and participates in circle time. No math or reading and writing are introduced. The emphasis is on the varied and rich pre-academic experiences that every child should have in order to be able to excel academically once they are developmentally ready. In our Christopherus Kindergarten book we refer to this stage of childhood as the “dreamtime”. The young child is at one with the world – his senses are completely open, he imitates what he experiences and has a limited sense of self as completely separate person. His state is the natural religious state of the young child which Steiner often spoke of (see Working with the Spiritual Basis of Waldorf Education). This is as it should be and he should not be rushed through this stage. By making the child self-conscious – by teaching, instructing and otherwise working with him via his head, via his emergent intellect and sense of self, we sever his attachment to the world and his undifferentiated sense of oneness. By instructing instead of giving him examples to copy, by teaching him abstractions such as letters (no matter how creatively), by talking to him as a mature adult instead of someone with a completely different consciousness, we rob the child of a vital developmental step. Please be very careful using materials with your child that are marketed as Waldorf but which rely on conventional ways of teaching and instructing children. Obviously, as the child passes her 6th birthday this begins to fade as she enters the next stage of development – these notes are far more important the younger the child is. Nevertheless, there is no sound reason for rushing into academic or other activities more suitable for older children at such an early age. No convincing studies exist showing any evidence for long-term benefits from early academics. Many of the studies done on early academics focus on children living in poverty who certainly benefit from the forms and play opportunities afforded by being in school or Head Start programs where at least they are not hooked up to the television all day. We would suggest that such children thrive despite the early academic intervention, not because of it. Please refer to www.moorefoundation.com for the distinct advantage of better late than early. 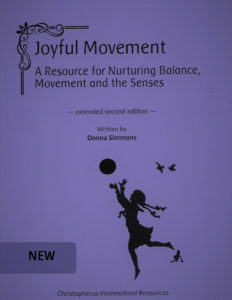 If these notes appeal to you and make sense, then you might like to consider the following additional sources of help and inspiration:Kindergarten with your Three to Six Year Old and Joyful Movement are, in my humble opinion, two of the best resources available to help parents create a nurturing, peaceful and harmonious homelife for their little ones. 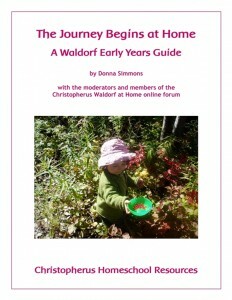 Also, The Journey Begins at Home: A Waldorf Early Years Guide, a 400 page ebook based on eight years of conversations from our former Christopherus forums. We also strongly suggest you listen to the free audio download on Therapeutic Waldorf for advice about working with the very forms which can help heal those children with issues that manifest in sensory and other challenges as well as prevent their appearance in the first place. Rahima Baldwin Dancy’s You Are Your Child’s First Teacher and Shea Darian’s Seven Times the Sun and Sanctuaries of Childhood are also invaluable resources to help you practically support your choices. Carrie Dendtler’s blog is an invaluable source of inspiration and support for Waldorf homeschooling – especially in the early years. Has many interesting articles from the journal of the Waldorf Early Childhood Association of North America.